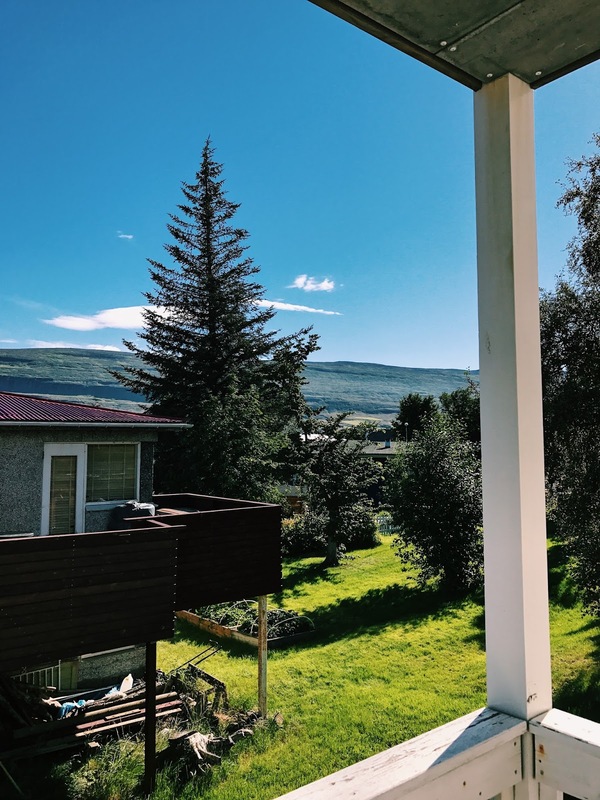 Waking up on Day 5 in Stykkishólmur, we first headed to the local bakery for breakfast. Turns out that it's normal to have ham in everything!! Being a pescatarian I opted for something sweet and went for some kinda chocolate/custard/cream pastry .. no complaints here! 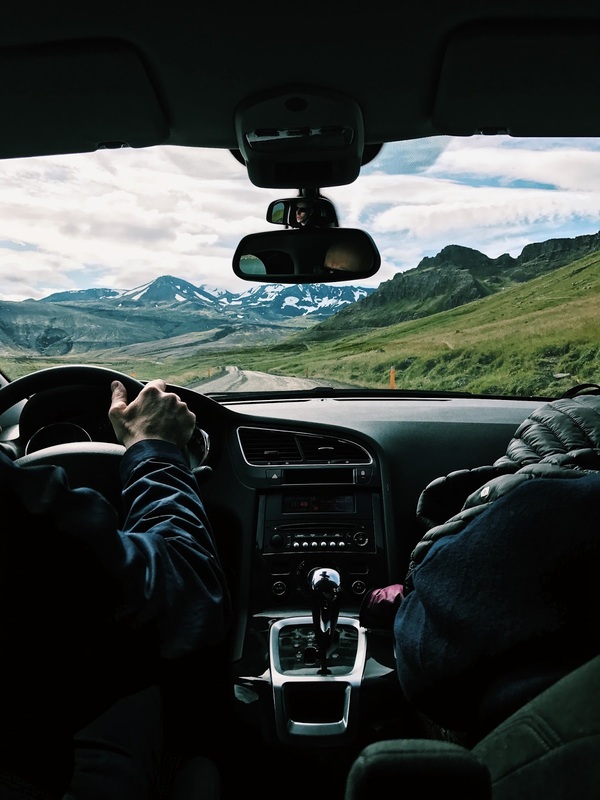 We then spent the day driving around the Snæfellsjökull national park, taking in the scenery. 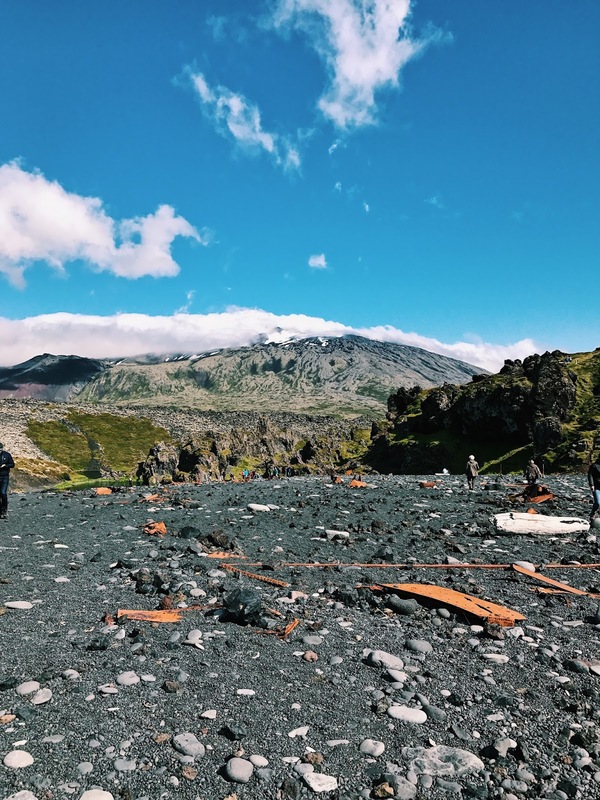 Stumbling across many volcanoes and black sand beaches! 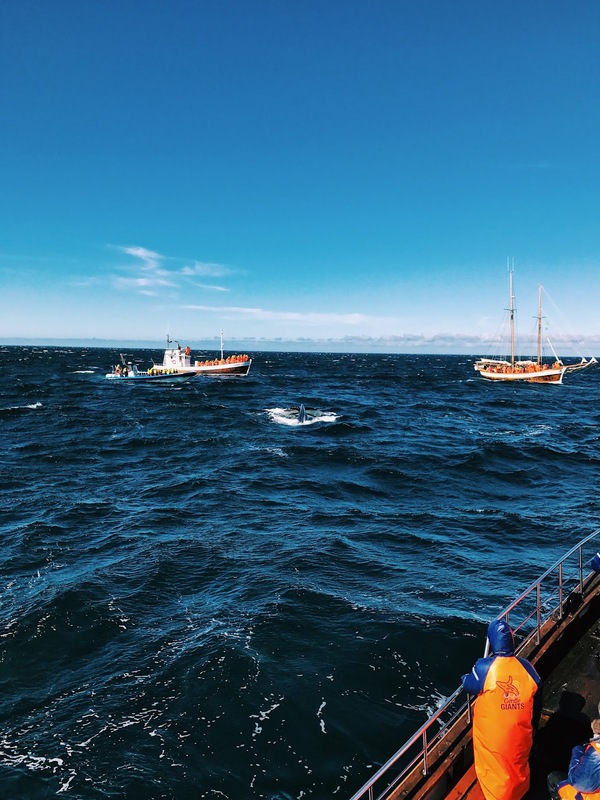 The weather was perfect, one thing I will say is to take food if you do this day trip - we struggled to find anywhere for lunch, luckily we came across a fish and chip van otherwise we all could have turned very hangry! 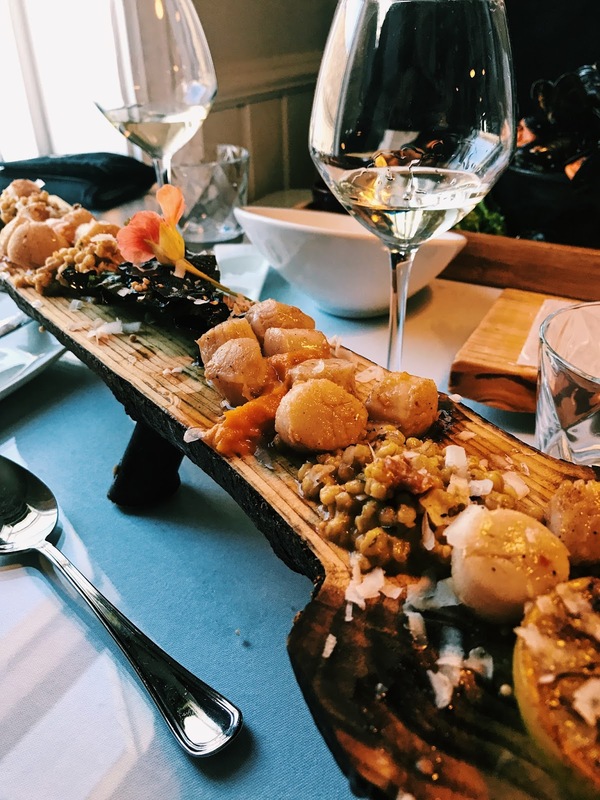 As we were staying in the same town again, we decided to try another one of the popular restaurants, Narfeyrarstofa, which is a brilliant seafood restaurant - I went for scallops again, I had to take advantage of the amazing food in the harbour town! 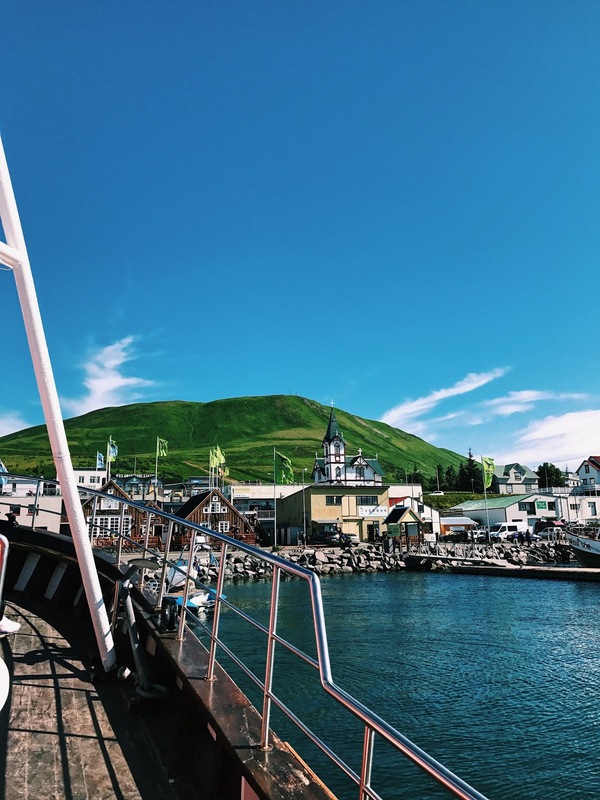 The best way to start Day 6 was definitely to have breakfast at the bakery again... that chocolate/custard/cream pastry was very welcome a second time around... We waved goodbye to Stykkishólmur and began our road trip to Akureyri! With plenty of stops to admire the views on the way. We checked in to the guesthouse and the view was incredible! 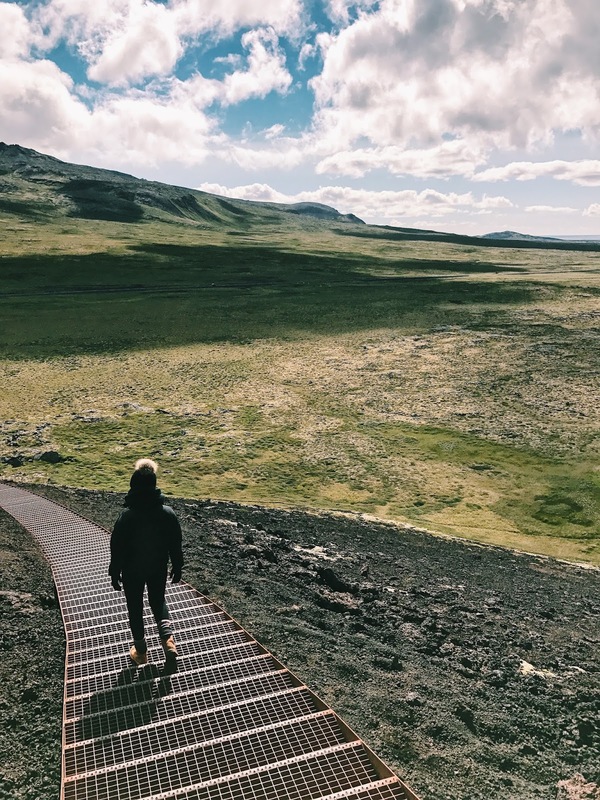 I can't get over the landscape in Iceland, everywhere I look I'm literally in awe! We soon sussed out the swimming pool which was opposite the guesthouse, so we spent our evening hopping from different temperature thermal pools, a few lengths in the pool and taking advantage of the sauna and steam room! Is there a better way to end such a relaxing evening than a takeaway pizza? I think not! Day 7 was possibly the most exciting yet! With a very early wake up call to drive to Husavik for our Whale Watching trip - with the tour operator Gentle Giants! 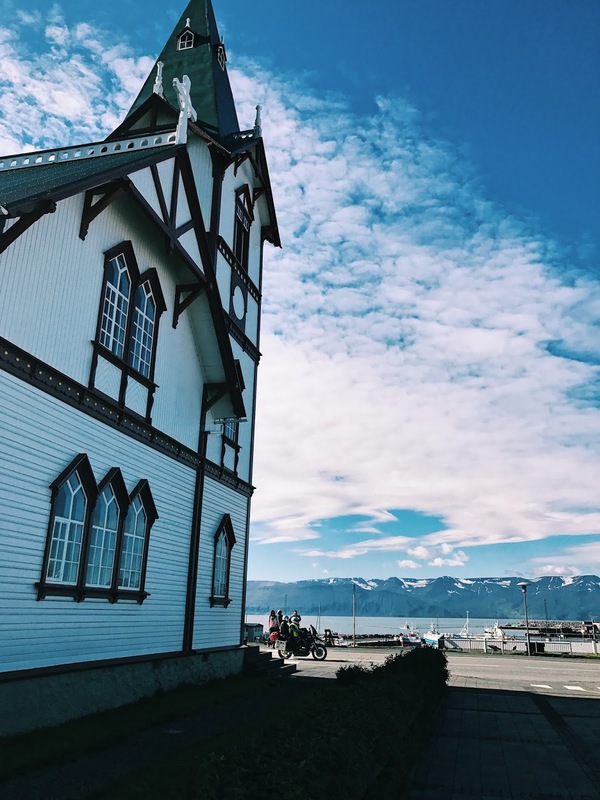 Husavik is famous for whale watching trips, the wide Skjálfandi bay is very popular for the whales to feed in the summer months, hence why they are very active so more of a chance to spot them. They normally travel from warmer climates where they breed to the colder seas to eat! 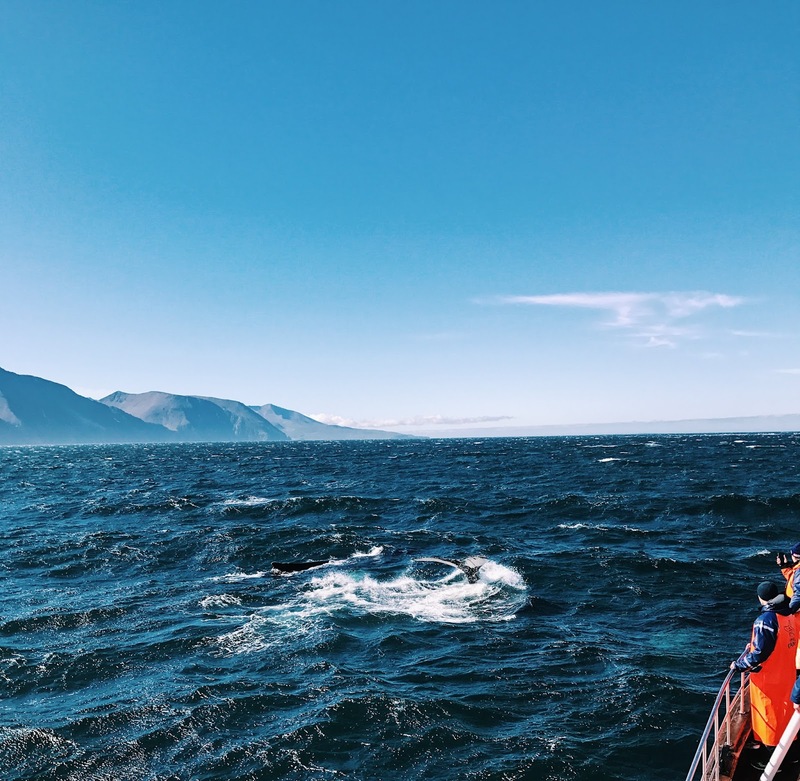 I can't describe the feeling we first saw the blow of a humpback whale... the captain quickly headed towards to the whale, where it swam by the side of the boat, diving down for 10/15 minutes at a time! This feeling was then completely overtaken when we finally noticed there were 3 humpback whales! It was honestly the most surreal experience of my life, to witness them in their natural habitat. I can't even express just how tiny you feel next to such a huge whale! 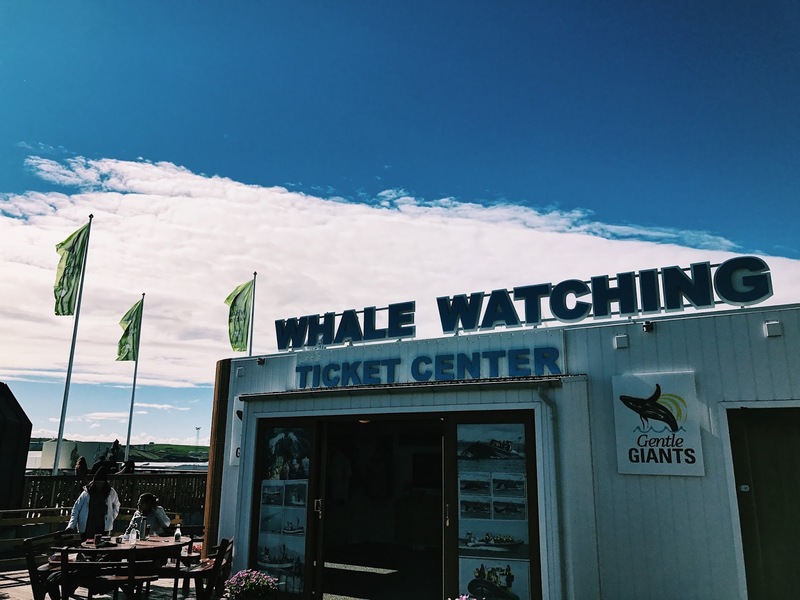 After quite a choppy ride back to the harbour, we decided to wander around the Whale Museum (you get discounted entry with your whale watching ticket!) - which was so interesting. I didn't know there were so many breeds of Whales and I loved reading all about each one. We grabbed some food at the local pub by the harbour, before heading back to Akureyri for an early night. 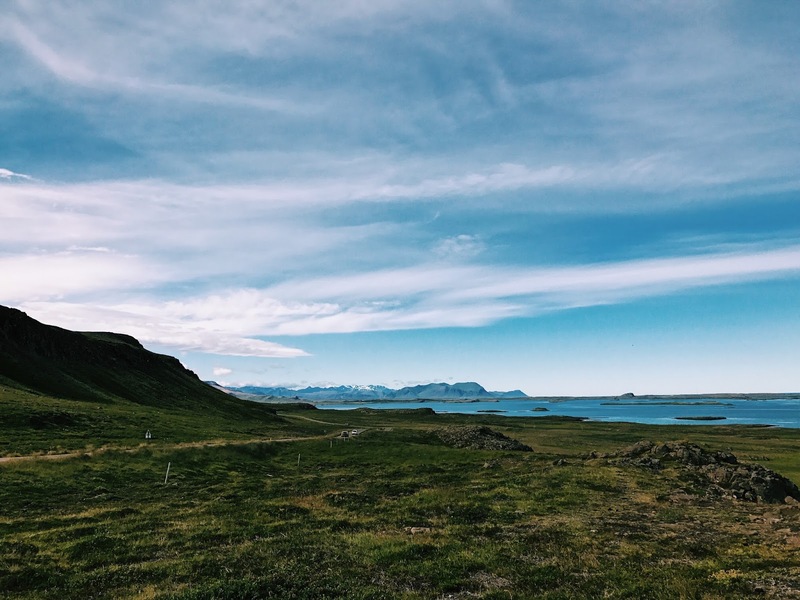 On Day 8 we had a very long drive to Djúpivogur, but with plenty of amazing stops on the way! This was the day for some amazing waterfalls. 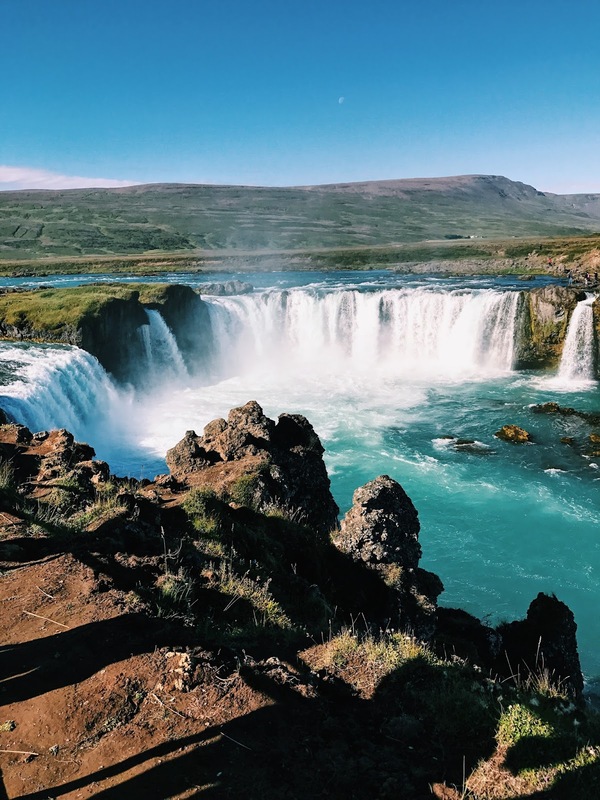 First up was Goðafoss, a spectacular waterfall with the most intense green water. 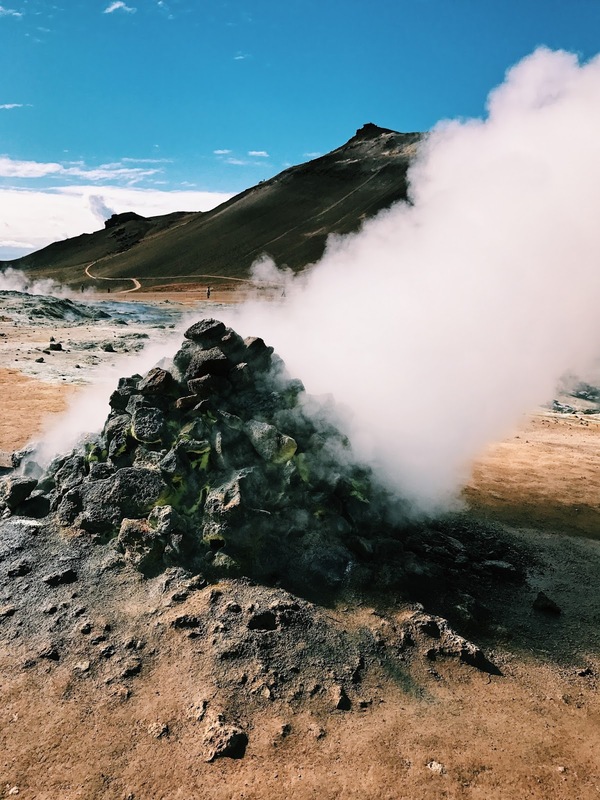 Not only waterfalls, but another popular attraction - Námaskarð an area of Iceland where you can also witness the geysirs, with roaring steam vents and coloured mud pools - it does an amazing job of demonstrating what a raw and powerful force nature can be. 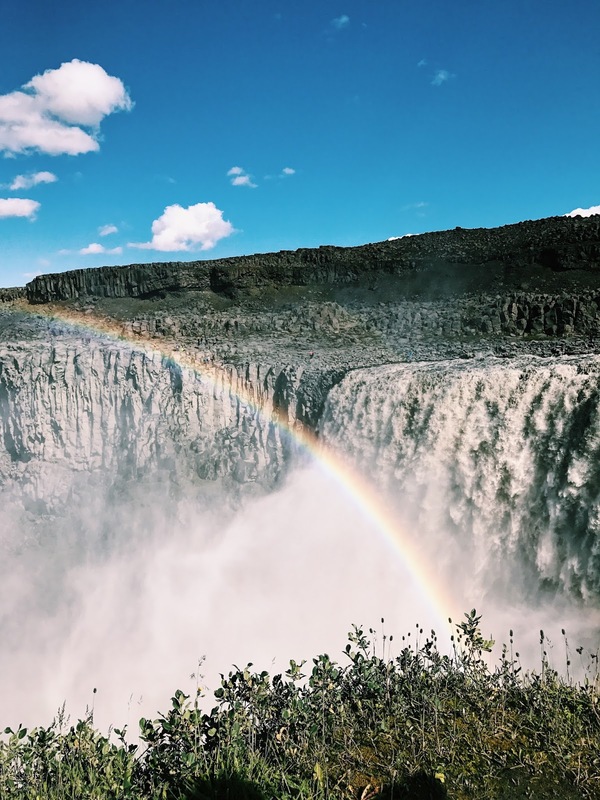 The next waterfall was Dettifoss - we were so lucky it was sunny as the waterfall was surrounded by a beautiful rainbow! It almost didn't look real. 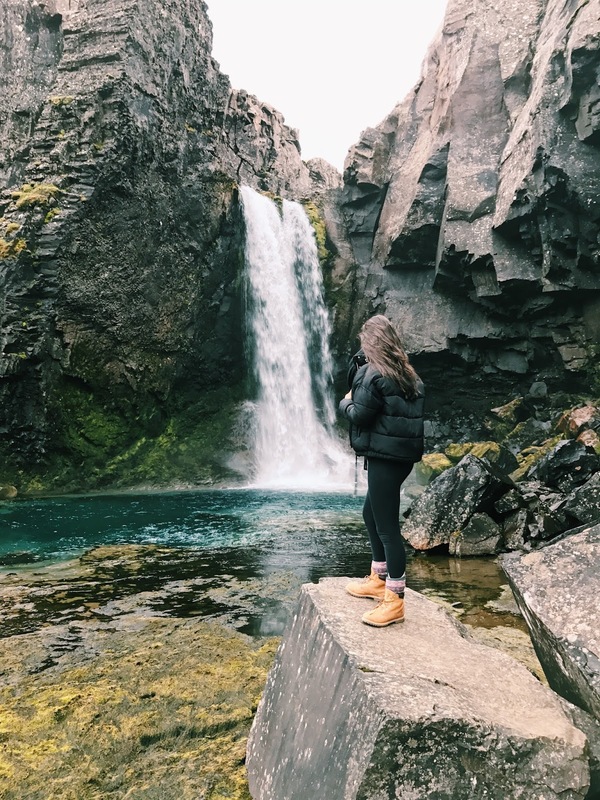 The crashing noise of the falls was so loud, we hiked around Dettifoss before jumping back in the car.. not a bad place to stretch your legs! 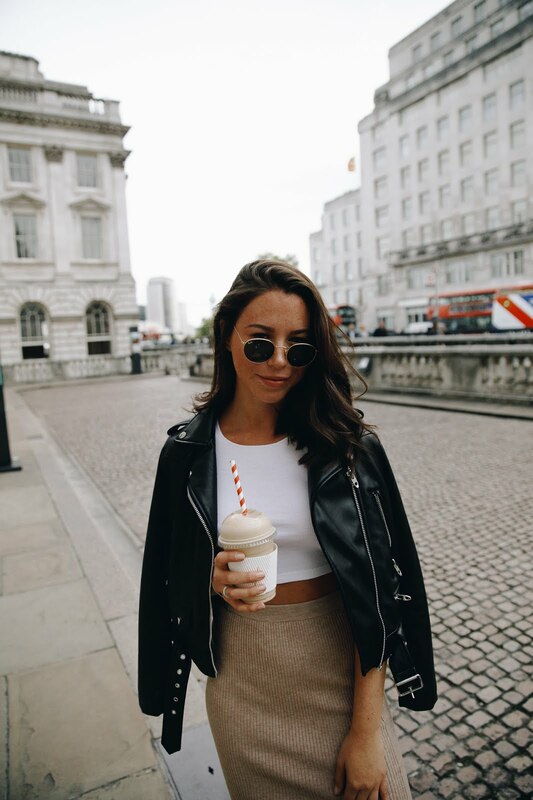 With only two more days left to tell you about, I hope you love this series of travel diaries - I've loved writing them! Which spot would you most like to visit from my trip? Let me know in the comments! 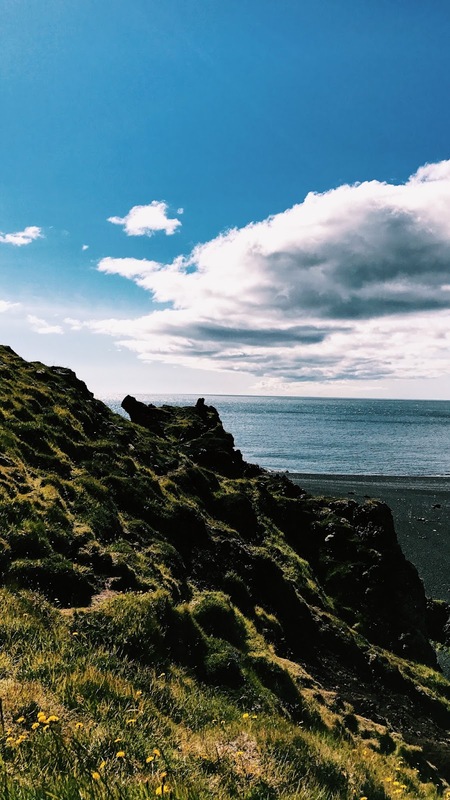 Iceland looks incredible and your photos are so beautiful! Whale watching looks like the most incredible thing!